The notorious Chieftaincy of Military Intelligence (CMI) of Uganda has struck again in its continued witch hunting of Rwandan nationals. This time one of its victims is a church leader, Theoneste Ntakirutimana, who heads the ADEPR church in Uganda. Uganda Police arrested Ntakirutimana at the Katwe Police station in Kampala on Thursday 28 March 2019. From there they took him to CMI’s headquarters at Mbuya Barracks. The pastor’s family members are worried sick that Ntakirutimana – who according to reports by ADEPR church leaders was arrested on concocted rumors that he is “working for Rwanda’s interests” – will suffer horrendous torture. “Everyone has seen what happens to Rwandans in CMI custody; they come out looking almost dead,” said a fellow church member we can’t name on request. According to an investigation we conducted for this report, there is no reason Ntakirutimana should be arrested. If CMI agents bothered to conduct a proper inquiry they would not have arrested him. “But when it comes to Rwandans, CMI just detains at the first opportunity!” say many that have suffered at its hands. CMI for instance can arrest, detain and torture a Rwandan just for walking in front of the house of Brig. Gen. Abel Kandiho, the chief of the agency. It is what they did to Moses Ishimwe Rutare on 22 December 2018. Fellows guarding Kandiho’s house saw Rutare and asked him for his ID. When they saw he was a Rwandan it was enough for them to take Rutare to their Mbuya dungeons – to subject him to over two months of torture. Usually CMI works with agents of RNC, the group of fugitive Kayumba Nyamwasa group that practically has become integrated into Museveni’s security agencies. Information collaborated by Rwandan survivors of CMI is that RNC people are quite active in identifying, for the Ugandan agency, which Rwandans to arrest – usually on accusations (that are never proved, or for which they never are tried) of being “spies for Rwanda”. RNC agents do more than that. They are known to conduct abductions of Rwandan citizens, working hand in hand with CMI. Usually, those are Rwandans that have refused to say bad things about Rwanda, or that have declined to offer support of RNC, even if it is just verbally. According to information reaching us, one Manywa John – also a Rwandan, and the second in ADEPR’s leadership hierarchy in Uganda – had a huge quarrel with Theoneste Ntakirutimana. Church leaders we talked to say Manywa was leading a “rebel” faction that had gone as far as attempting to forge registration, so as to fraudulently transfer leadership to themselves. A brief history of ADEPR in Uganda is that Ntakirutimana was one of the pioneers of the church in Uganda who, years ago left Rwanda and joined the effort to build a congregation. With time his efforts, and those of others began to yield fruit. Now the church has become prosperous. It has parishes in 33 districts of Uganda. It has 189 plots in the country, and a Christian followership numbering 23, 201. According to those in the know, the “ADEPR pie in Uganda has become ‘too tempting’”. Manywa and his “breakaway faction”, according to our sources, were determined to do everything, including forgery, to claim leadership of ADEPR in Uganda. 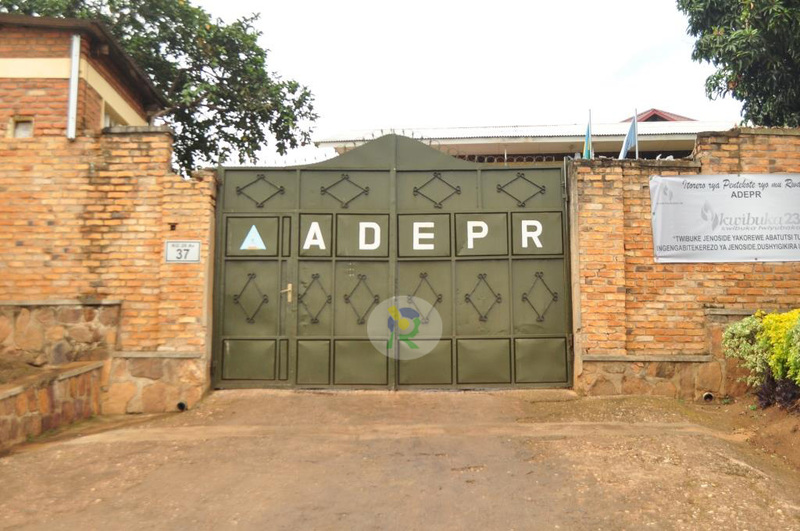 ADEPR headquarters in Rwanda could not allow such fraudulent activities, according to a number of its Kigali-based leaders that we talked to – including Karangwa John the Deputy Legal Representative, Gatemberezi Jean Paul, Secretary General, and Ntaganda Jean Paul, adviser. So they wrote a letter to Manywa summoning him to come back to Rwanda, and that Theoneste Ntakirutimana was the recognized head of the Uganda Region. “Manywa instead just dismissed our letter and told us he would not be coming back to Rwanda,” disclosed Ntaganda Jean Paul. “The next thing we were hearing was that Manywa was moving around with Uganda Police,” said Gatemberezi. “He was telling Police, and later CMI, that ‘the Government of Rwanda was victimizing him’”. The way it is explained, when Manywa saw that ADEPR leadership – from headquarters in Kigali – had “decided to take bread out of his mouth”, that is when he resorted to telling lies against Rwanda. He was dragging the government of Rwanda into a quarrel that was between him and his fellow members of the church. Manywa was seen with Police going to ADEPR churches, helping them look for leaders. “Pastors were going in hiding!” disclosed the ADEPR leaders we talked to for this story. That is what has been happening in the past two months. Members of congregations were telling ADEPR leaders in Uganda to hide themselves as police and CMI were hunting for them. “Theoneste knew he had done nothing wrong; that is why he answered the police’s call,” said Karangwa John, ADEPR’s legal representative in Kigali. “We are so sad that a man only doing God’s work was arrested by Uganda Police, and now is in CMI just because of the falsehoods of one misguided Christian,” Karangwa added. Everyone agrees if CMI or the Kampala police had conducted even a little proper investigation, they would have quickly discovered the motives of John Manywa. “But because they have an anti-Rwanda agenda, they just listen to any rumor of alleged “Rwandan spies”; or that someone ‘is working for Rwandan interests’ to arrest that person,” say observers. In fact it should come as no surprise when you hear that police or CMI are arresting more Rwandan nationals in Uganda that go to ADEPR churches, according to informed analysis.